For the first time since surfing’s boom in popularity in the 1960s, leaders of Surf Life Saving NSW and Surfing NSW have reached an agreement between the two state bodies. Increased cooperation, strong developmental pathways for athletes, and shared industry knowledge are just some of the many benefits for Australia’s coastal communities. A Memorandum of Understanding has been signed by Surf Life Saving NSW CEO Steven Pearce, and Luke Madden (Surfing NSW CEO), which heralds a new era of cooperation. “We are delighted to officially sign this MOU with Surfing NSW and look forward to our relationship continuing to grow,” said SLSNSW CEO Steven Pearce. Australian surfing legend and pioneer Simon Anderson of North Narrabeen, invented the thruster (3-fin) Surfboard setup in 1980. Anderson was brought up in the Surf Life Saving movement in the midst of the historical separation of the two groups. "Throughout the 1960s I was a member of Collaroy Surf Life Saving Club as a Nipper and went onto completing my Bronze Medallion with the club. I competed in the State Titles but wasn’t keen on doing patrols so as surfing flourished throughout the 60s, I naturally moved away from the surf club. "The relationship between surfers and surf lifesavers soured during this time because there wasn’t a good understanding of each other’s needs. Surfboards were big and a safety hazard to swimmers and lifesavers would place the flags in the best surf spots on the beach without consideration. The conflict increased when local councils brought in a registration fee for surfboards, and it was the lifesavers that had to enforce the fines and confiscate boards. With the agreement now firmly in place and a strong bond between the two organisations, lifesavers and surfers will be riding the same waves for many years to come. The 2018 Midford NSW Board Riding Championships will be held at North Narrabeen from Friday 7 – Sunday 9 September inclusive. The opening heats will get underway from 7:30am AEST. The best surf board riders within the lifesaving community are at North Narrabeen’s famous break this weekend where the 2018 NSW Board Riding Championships get underway from Friday. Almost 150 competitors are set to take part in the three-day surfing event. Thirty-eight surf clubs from Cudgen Headland in Northern NSW through to Broulee Surfers on the Far South Coast will be represented at the 2018 Midford NSW Board Riding Championships. The event is making its return to one of surfing’s most iconic and historically significant breaks, North Narrabeen beach, after being held at Birubi Point near Port Stephens last season. Prior to 2015, the NSW Board Riding Championships was held as part of the overall State Championships, but in an effort to allow more athletes to participate it was decided a stand-alone-competition was required. This new format has been well received with the athletes out to make the most of a bright start to spring and after a long, flat winter, gives them the opportunity to earn bragging rights as the best surfer in their clubs. The championships are open to athletes aged 13 to over 70 with competition to be conducted in a format of 20 minute heats followed by semis and finals as required with medals in both long and short-board on offer. A casual glance at the program will turn up a number of familiar names, particularly in the Masters Divisions. Anthony Carroll and Ryan Clark of Bondi Rescue fame will be flying the flag for Bronte SLSC as they have for many years. Maroubra SLSC will be fielding a strong contingent which includes Andrew O’Sullivan a former Australian champion surfer. NSW Surf Sports Manager Rob Pidgeon is looking forward to the event. “It’s an exciting opportunity for our lifesavers to show off their surfing skills, and I know they’re all looking forward to the challenge. Early forecast models suggest that the conditions are looking good for Friday, holding at 2-3 feet on a light SE wind swell with light offshore winds for the duration of the period, however, expect winds to swing ENE-NE into the afternoons as the weekend progresses. Mr Pidgeon also praised the hosts for being so accommodating and working closely with the local North Narrabeen Board Riders Club to deliver this event. 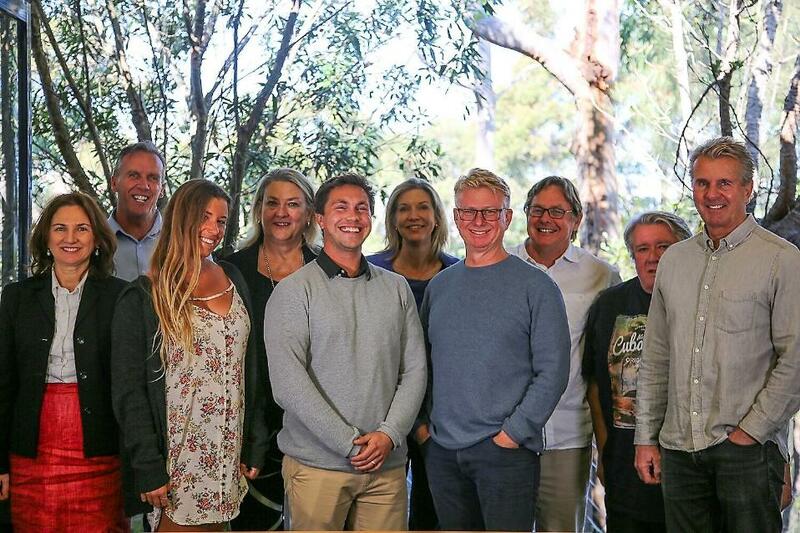 “North Narrabeen has been extremely supportive through the whole lead-in process and are looking forward to hosting the State Championships after the frustration of having to relocate the Best of the Best Surf Boat Interbranch Championships earlier this year. “The hard work has been done and now all that is left is to hit the surf on Friday. It’s shaping up to be an amazing competition,” he said. NSW State Championships, Day 1; Adriaan van der Wallen got a Gold in 50’s Masters Longboard. Jeremy Black Silver in 30’s Longboard and MAC Elsegood Silver in the 60’s Longboard. Tim Gates ripping in the free surf, afterwards. Great day for Palm Beach SLSC. Bragging rights and glory were on the line last weekend as the best surfers from lifesaving clubs around NSW came together at North Narrabeen for the 2018 NSW Midford Board Riding Championships. There were spills and thrills, and while the weather didn’t always co-operate throughout the three-days of competition, it didn’t affect the competitors performance. Bronte’s Anthony Carroll of Bondi Rescue Fame, had a stellar competition on his way to multiple gold medals. The experienced surfer won both short and long board 40-49 competition before backing it up on Sunday to take out the Open Long Board Division ahead of Adriaan Van Der Wallen (Palm Beach SLSC). "It’s about being a good waterman or woman, about being part of a community. Not just looking east or looking west, and bringing the broader community into the lifesaving movement. Being a board rider, it makes sense to be in a surf club and for Surf Life Saving NSW to support it in its surf sports format." Others to impress on the opening day last Friday in the Masters Competition included Christine Maybury (North Bondi SLSC), and Cronulla’s Emma Larssen who went one/two in the 30-39 Long Board and Short Board. While another Bondi Rescue lifeguard, Ryan Clark (Bronte) in the Male 30 – 39 Division, Nikki Drobot (Avoca Beach) and North Bondi’s Greg Clifford (60-69) were also double gold winners. The best swell conditions were arguably on Day 2 and the youngest competitors took full advantage in a spectacular day of surfing. The judges from Surfing NSW and North Narrabeen Boardriders remarking that the skills on display wouldn’t be out of place on the junior circuit. Winners in the junior competition were shared between the clubs. On the Short Board the female gold medallists were Kiahni Scott (Manly LSC – U13s), club mate Evie Coulter took out both the U14s and the U15s. Sofie Boyd (Cudgen Headland SLSC) was judged the best of the best in the U17s before backing up to take bronze in tightly contested Open Female Short Board Final. The teenage men who stood atop the podium in Short Board Riding included Max Timbrell (Bulli SLSC) who won the U13s Division and Jack Roberts (Avalon Beach SLSC) – U14s. Sawtell’s James Hill was judged the best board rider in the U15s, and Max Bullen (Kiama Downs) was crowned the U17 champion. After two days of biding their time the U19 and Open competitors finally had their turn on Sunday with a number of youngsters backing up their earlier efforts to compete against their experienced counterpart. Thirroul teenager Darci Air surfed her way to an impressive 4th place in the Open Female Long Board final behind medallists Sophie Wade (Palm Beach SLSC), Taylor Durrant (Cabarita Beach SLSC), and Newport’s Isabella Stevens before she went on to secure gold in the Open Short Board Division. Max Bullen won gold in the Open Male Short Board ahead of Wanda’s Tyler Nott. Nott would earn a second silver medal in the U19 Division of the same event behind Cudgen Headland’s Kai Onley. 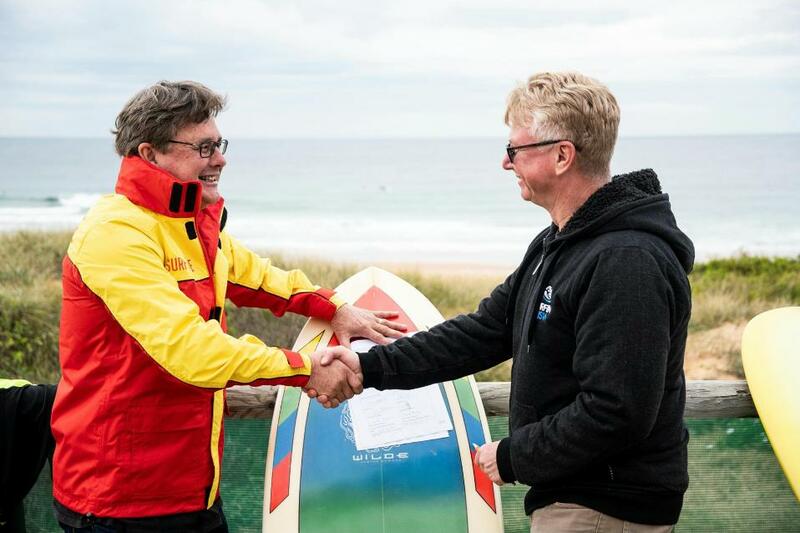 The event also made history after a Memorandum of Understanding was signed by Surf Life Saving NSW President David Murray, and John O'Neill (Surfing NSW Chairperson), which heralds a new era of cooperation between the two sports on Friday. “The MOU is an important document which will allow members from both organisations to gain benefits, and it was fantastic to sign it at a surf break that is special both to surf lifesavers and surfers,” said SLSNSW President David Murray who was on hand to watch the competition. “Many of our members enjoy getting into the water and having asurf which was evident in the joy, that the more than one hundred competitors had throughout these championships. “We’re looking forward to continue to cooperate with Surf NSW,” he said. At 52 and 55 Grant and I happy to surf the Open Final, NSW State SLSC Longboard Championships. We got Silver and Bronze with Harry taking Gold. Grant Salmon and Adriaan van der Wallen with Anthony Carroll aka Harry’s Bondi Rescue. photo courtesy Adriaan.